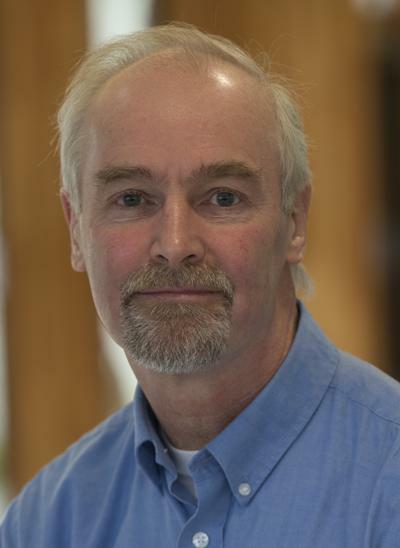 2003-present: Head of the Microbiology Group. University of Southampton, UK. 2000-present: Director of the Environmental Healthcare Unit. University of Southampton, UK. 2003-2005: Scientific Advisor to the House of Commons Select Committee on Science & Technology, London, UK. 2000-2004: Visiting Professor of Microbiology. University of Exeter, UK. 1997-2000: Scientific Leader. Microbial Research Authority, CAMR Porton Down, UK. 1994-1997: Consultant Clinical Microbiologist and Head of the Microbial Technology Department. Microbial Research Authority, CAMR Porton Down, UK. 1990-1994: Clinical Scientist Grade C (Merit) and Head of Physiology & Biofilms Section. Public Health Laboratory Service, CAMR Porton Down, UK. 1983: Visiting Research Fellow, University of Manitoba, Canada. 1979-1984: Senior Grade Microbiologist, Public Health Laboratory Service, CAMR Porton Down, UK. 1978-1979: Head of Small Scale Polysaccharide Research, Tate & Lyle Ltd, University of Reading. 1976-1978: Postdoctoral Fellow, University of Southampton, UK. 1976: PhD. Biochemistry, University of Birmingham, UK. 1973: BSc. Biochemistry, University of Birmingham, UK. Physiology and adaptive mechanisms for survival of pathogens, in vivo and in vitro e.g. Legionella, Helicobacter, E. coli O157, MRSA, C. difficile. Biofilms in the environment, the built environment and clinical practice. Surface contamination, including prions; fouling and corrosion. Nany Malissa Rahimi: Commonwealth Scholar / Development, persistence and control of biofilms on urinary catheters utilising advanced imaging and molecular techniques. This project will assess the cleanliness of existing endoscopes and the efficacy of current decontamination procedures, using a new highly sensitive microscopy imaging method to identify and quantify residual contamination from a range of flexible endoscopes, and new cell assays to assess potential prion infectivity. The objective of the work developed by the partner University of Southampton is to firstly optimize the formation of L. monocytogenes biofilms and then conduct experiments to calculate the detachment forces required to remove L. monocytogenes biofilms. To evaluate the potential of Cold Atmospheric Plasma as a tool for the decontamination of reusable surgical instruments and endoscopes, thus significantly reducing the risk of iatrogenic infections with prions and potentially other resilient agents. Our Consultancy Service has dealt with a wide range of projects in collaboration with both small and large multinational companies. We offer a range of testing services using up-to-date microbiological methods and the latest techniques in specialised microscopy. Development of rapid, sensitive, advanced EDIC/EF light microscopy based protocols to assess the efficacy of current bio-decontamination systems. SecurEau – Security and decontamination of drinking water distribution systems following a deliberate contamination event. This work aims to design novel methodologies for the detection of low levels of contaminants, model the distribution of contaminants throughout a network and identify the point of origin, develop the use of sensors for surveillance and provide decontamination protocols for polluted networks and installations, including the neutralisation of contaminated water and residues. The StarStream device cleans using only room temperature water, ultrasound and air. This CASE award studentship, funded by EPSRC and Ultrawave Ltd., examines method of improving the StarStream by looking at the engineering associated with the water supply components of the device. This entails the design and construction of new bubble diagnostics technology. Howlin, R. P., Harrison, J., McDonnell, G., & Keevil, C. W. (2008). What's on your device? Medical Device Decontamination, 12, 16-21. Azevedo, N. F., Almeida, C., Keevil, C. W., & Vieira, M. J. (2006). Coccoid morphology as a possible manifestation of Helicobacter pylori adaptation to adverse environments. Helicobacter, 11(4), 342-343. Keevil, C. W., & Lipscomb, I. (2006). How clean is clean? Institute of Decontamination Sciences Journal, 10(4), 32-34. Michels, H. T., Wilks, S. A., Noyce, J. O., & Keevil, C. W. (2005). Copper alloys for human infectious disease control. Materials Science and Technology, 1, 3-13. Keevil, C. W. (2004). The physico-chemistry of biofilm-mediated pitting corrosion of copper pipe supplying potable water. Water Science & Technology, 49(2), 91-98. Azevedo, N. F., Vieira, M. J., & Keevil, C. W. (2003). Establishment of a continuous model system to study Helicobacter pylori survival in potable water biofilms. Water Science & Technology, 47(5), 155-160. Keevil, C. W. (2003). Rapid detection of biofilms and adherent pathogens using scanning confocal laser microscopy and episcopic differential interference contrast microscopy. Water Science & Technology, 47(5), 105-116. Buswell, C. M., Herlihy, Y., Keevil, C. W., Marsh, P. D., & Leach, S. A. (1999). Carbon load in aquatic ecosystems affects the diversity and biomass of water biofilm consortia and the persistence of the pathogen Campylobacter jejuni within them. Journal of Applied Microbiology Symposium Supplement, 85(28), 161S-167S. James, B. W., Mauchline, W. S., Dennis, P. J., Keevil, C. W., & Wait, R. (1999). Poly-3-hydroxybutyrate in Legionella pneumophila, an energy source for survival in low-nutrient environments. Applied and Environmental Microbiology, 65(2), 822-827. Buswell, C. M., Herlihy, Y. M., Lawrence, L. M., McGuiggan, J. T. M., Marsh, P. D., Keevil, C. W., & Leach, S. A. (1998). Extended survival and persistence of Campylobacter spp. water and aquatic biofilms and their detection by immunofluorescent-antibody and -rRNA staining. Applied and Environmental Microbiology, 64(2), 733-741. Hall Stoodley, L., Keevil, C. W., & Lappin Scott, H. M. (1998). Mycobacterium fortuitum and Mycobacterium chelonae biofilm formation under high and low nutrient conditions. International Journal of Leprosy and other Mycobacterial Diseases, 67(4 SUPPL. ), 513. Hervé, R., & Keevil, C. W. (2012). Quantitative analysis on the removal of proteins and prions from medical devices. In D. Riesner, J-P. Deslys, & M. Pocchiari (Eds. ), Decontamination of Prions (pp. 241-249). Düsseldorf, DE: Düsseldorf University Press. Warnes, S., & Keevil, C. W. (2003). Survival of Cryptosporidium parvum in faecal wastes and salad crops. In G. Duffy (Ed. ), Cryptosporidium parvum in Food and Water (pp. 15-24). Dublin, IE: Teagasc. Katis, I., He, P., Sherwin, S., Keevil, C., Eason, R., & Sones, C. (2017). Laser manufactured paper devices for multiplexed detection of bacteria and their resistance to antibiotics. Paper presented at EUROMAT 2017, Thessaloniki, Greece. Keevil, C., & Wilks, S. (2012). An alternative view of the 3D heterogeneous mosaic structure of mono and polymicrobial species biofilms. Paper presented at Biofilms 5, Paris, France. Wilks, S., Giao Teixeira de Carvalho, M. S., & Keevil, C. (2012). Comparison of methods for the detection of culturable and VBNC E. coli O157:H7 in complex drinking water biofilms. Poster session presented at American Society of Microbiology General Meeting, San Francisco, United States. Keevil, C., Giao Teixeira de Carvalho, M. S., Warnes, S. L., & Wilks, S. (2011). Antimicrobial properties of copper surfaces in healthcare settings. Paper presented at International Biodeterioration and Biodegradation, Vienna, Austria. Wilks, S., & Keevil, C. (2011). Molecular methods reveal survival of E. coli O157 following high dose disinfection of drinking water. Paper presented at Faecal Indicators, Edinburgh, United Kingdom. Keevil, C. W., & Wilks, S. A. (2011). Rapid confirmation of microbiological alerts using off-line molecular methods. In U. Borchers, & K. C. Thompson (Eds. ), Water Contamination Emergencies: Monitoring, Understanding and Acting (pp. 48-58). London, GB: Royal Society of Chemistry. Wilks, S., & Keevil, C. (2010). Improved methods show survival of E. coli O157:H7 in potable water biofilms following treatment with high chlorine concentrations. Poster session presented at Water Contamination Emergencies, Mülheim an der Ruhr, Germany. Wilks, S., & Keevil, C. (2010). Legionella pneumophila is an autochthonous species of potable water biofilms. Poster session presented at Biofilms 4, Winchester, United Kingdom. Giao teixeira de carvalho, M. S., Azevedo, N. F., Wilks, S., Vieira, M. J., & Keevil, C. (2008). Influence of physico-chemical parameters on the survival of Helicobacter pylori in drinking water biofilms. Wilks, S., Giao teixeira de carvalho, M. S., Vieira, M. J., & Keevil, C. (2007). Legionella pneumophila is an abundant and chlorine tolerant autochthonous member of potable water biofilms. Poster session presented at American Society of Microbiology General Meeting, Toronto, Canada. Wilks, S., & Keevil, C. (2006). Detection and quantification of legionellae in potable water: a comparison of methods. Poster session presented at 11th International Symposium on Microbial Ecology, Vienna, Austria. Keevil, C., Azevedo, N. F., Juhna, T., Lehtola, M. J., & Wilks, S. (2006). Enhanced performance of peptide nucleic probes for fluorescence in situ hybridisation detection of microorganisms in the environment. Poster session presented at 11th International Symposium on Microbial Ecology, Vienna, Austria. Giao teixeira de carvalho, M. S., Wilks, S., Vieira, M. J., & Keevil, C. (2006). Influence of carbon concentration, shear stress and temperature on survival of Legionella pneumophila in drinking water biofilms. Paper presented at ASM Biofilms, Montreal, Canada. Wilks, S., & Keevil, C. (2006). Prevalence of Legionella pneumophila in potable water biofilms. Poster session presented at 11th International Symposium on Microbial Ecology, Vienna, Austria. Wilks, S., & Keevil, C. (2006). Visualisation of Legionella in potable water biofilms. Poster session presented at American Society of Microbiology General Meeting, Orlando, United States. Wilks, S., & Keevil, C. (2005). The rapid detection of legionellae in biofilms on mains drinking water pipes. Paper presented at Water Micro, Swansea, United Kingdom. Wilks, S., Azevedo, N. F., Juhna, T., Lehtola, M. J., & Keevil, C. (2005). Tools for the rapid detection of pathogens in mains drinking water supplies. Poster session presented at Water Contamination Emergencies, Manchester, United Kingdom. Azevedo, N., Vieira, M. J., & Keevil, C. (2003). Development of peptide nucleic acid probes to detect Helicobacter pylori in diverse species potable water biofilms. In J. Walker, A. McBain, D. Allison, M. Brading, A. Rikard, & J. Verran (Eds. ), Biofilm Communities: Order From Chaos? (pp. 105-112). Cardiff, GB: BioLine. Wilks, S., & Keevil, C. (2003). Improved work surfaces to prevent cross-contamination and spread of Listeria monocytogenes. Poster session presented at American Society of Microbiology General Meeting, Washington DC, United States. Wilks, S., & Keevil, C. (2003). Structure of diverse species potable water biofilms in the Propella® reactor. Paper presented at Biofilms Club, Gregynog, United Kingdom. Clark, S. A., Watkins, J., Wilks, S. A., & Keevil, C. W. (2003). The use of commercial products for the detection of Cryptosporidium oocysts throughout the food chain. In Cryptosporidium parvum in food and water (pp. 84-93). Carlow, IE: Teagasc. Hocknell, S., Hughes, A., Roe, E., Keevil, B., Wrigley, N., & Lowe, M. (2018). Corporate food retailers, meat supply chains, and the responsibilities of tackling antimicrobial resistance: Stakeholder report 2018. Newcastle University. Weaver, L., Keevil, C. W., Warnes, S. L., & Horizontal Hygeine (2005). Critical review on: feasibility of horizontal standard rapid method for detection of Clostridium perfringens and enterococci in sludges, soil, soil improvers, growing media and biowastes. (Horizontal Standards on Hygienic Microbiological parameters for Implementation of EU Directives on Sludge, Soil and Treated Biowastes; No. HOR-HYG WP 2/2). Southampton, GB: University of Southampton. Warnes, S. L., Keevil, C. W., & Horizontal Hygeine (2004). Desk studies on feasibility of horizontal standard rapid methods for detection of Clostridium perfringens and enterococci in sludges, soil, soil improvers, growing media and biowastes. (Work Package 3; No. Task 4). Southampton, GB: University of Southampton. Warnes, S. L., Keevil, C. W., & Horizontal Hygeine (2004). Desk studies on feasibility of horizontal standard rapid methods for detection of E. coli (including E. coli O157) and Salmonella. (Work Package 3; No. Task 3B). Southampton, GB: University of Southampton.